Academy Award-winner Christopher Walken, who has received Tony, Drama Desk and Outer Critics Circle nominations for his role in A BEHANDING IN SPOKANE, will appear on the “CBS Early Show” this Saturday, May 22. The show airs from 7:00am to 9:00am on Channel 2, WCBS in the New York area. Check local listings for times outside the New York area. 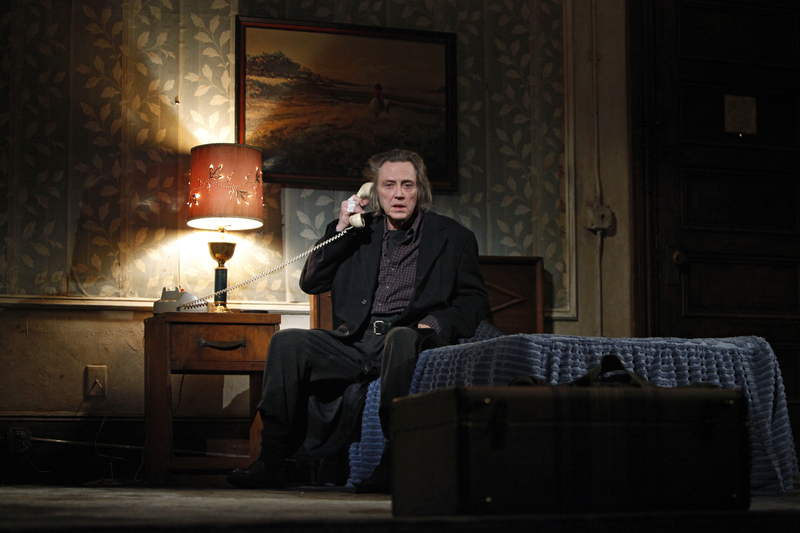 This is Mr. Walken’s second Tony nomination. He was previously nominated for his performance in James Joyce’s The Dead in 2000. Let’s give Christopher Walken a hand, and not just because he’s missing his left one in the offbeat Broadway comedy “A Behanding in Spokane.” The Oscar-winning actor has been wowing audiences and critics with his characteristically eccentric performance as a loner who has been searching for his left hand for nearly 50 years. Don’t be surprised if his name pops up among this year’s Tony nominees when the announcements are made Tuesday. And if he wins, you can bet his wife of 41 years will be there to cheer him on. Newsday’s Daniel Bubbeo recently spoke with Walken, 67, about his unusual stage role, his days at Hofstra and his encounters with Walter Matthau and a lion named Sheba. When you first heard about this show, what was your reaction? I was concerned with making it convincing. It’s difficult to make something disappear. If I had to add a hand, it would be easier than taking one away. So we had to figure that out. We met with the people who do the prosthetics and it wasn’t that difficult. I finally got a dark coat and kept my arm bent and it really wasn’t as difficult as it initially seemed.